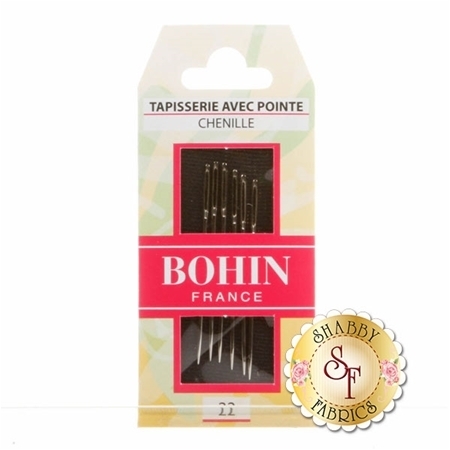 These needles by Bohin have an exceptional polish for smooth glide through fabric. They are fine point to minimize holes and eye polished with a unique process to minimize breaking thread. Maximum strength, minimum bending! Six size 22 needles per package.